As a performer of Scottish traditional music on the violin, I’ve experienced many if not all of the possible puns on playing the fiddle and being a fiddler: from the various and generally light-hearted sexual innuendos and claims of financial misconduct associated with ‘fiddling’ to the more prejudicial assertions of dilettantism, a lack of respectability, and incompetence, not a performance goes by without someone exercising their wit on the topic. It’s made me quite self-conscious as a writer on fiddle music and fiddlers, keen, as I am, to highlight the technical demands of the tunes and the genius of their composers. It seems there will always be a significant minority of my audience too narrow-minded to see beyond the caricature of the fiddler as some country bumpkin scraping away unmercilessly on his guts. I’ve detected a similar neurosis in writers on the music throughout history. Biographers of William Marshall were at pains to brand him a composer first and foremost, and Farmer, in A History of Music in Scotland, discusses composers of dance music. Similarly, Collinson, in The Traditional and National Music of Scotland, invents the label, fiddler-composer, and Johnson, in Music and Society in Lowland Scotland in the Eighteenth Century, is at pains to redeem the ‘folk fiddler’ as a classical musician. Significantly, this quote demonstrates that the term fiddler must have been used colloquially, and it is the case that the instrument is regularly referred to in print as a fiddle, but not its player. Victorian respectabilities were highly incensed by allusions to fiddlers and fiddling, and it is the vestige of this attitude that inspires the puns of today. James Scott Skinner’s collection of tunes from c. 1900, The Scottish Violinist, is interesting in this respect, as by title alone it elevates the status of the music from folk (dance) music to classical (violin) music. His attempt to ‘classicize’ fiddle music was short-lived, but the same attitudes of respectability are reflected in the subsequent titling of the music, which continued well into the twentieth century to be labelled as Scottish Dance Music rather than Scottish Fiddle Music. 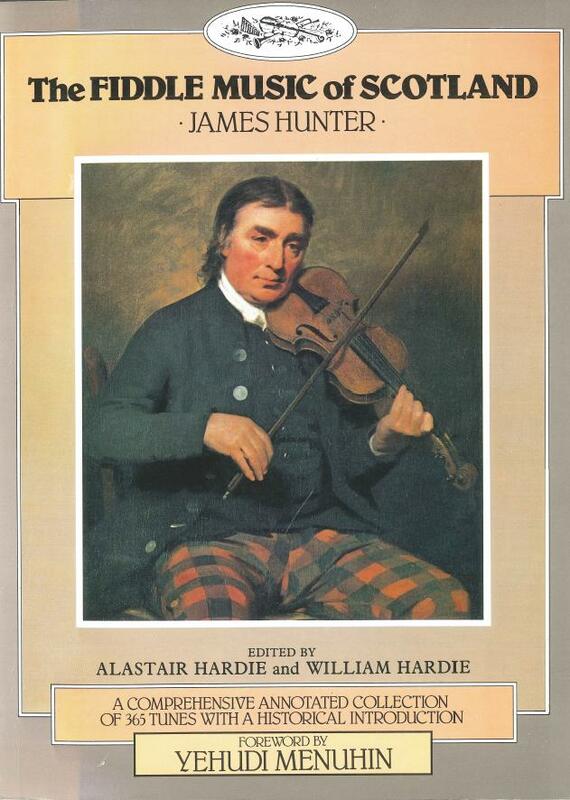 Indeed, it wasn’t until 1979 that a volume of tunes was published as such, being James Hunter’s The Fiddle Music of Scotland, with the influence of the post-war British folk music revival being easily detectable in this change of attitude towards the repertoire. For my own part, I like the idea of the Scottish violinist: like me, so many people in Scotland play both classical and traditional music on the violin, making the category helpful for describing this particular phenomenon, at least. Nonetheless, there are those, and have been those, who play traditional music exclusively, and what’s more they play it by ear and are not necessarily musically literate. Yet I hesitate to label these players fiddlers on account of the pejorative connotations the word has. It is players such as these that have been maligned by the received history of Scottish fiddle music, focused as it is on Great Men and the collections of tunes they published in music notation. MacDonald and Cooke have argued for the non-literate fiddle players of Strathspey and Shetland being valued for the alternative perspective they give to the music. While their performances are not as ‘polished’ as those by highly trained literate players, they often retain a rhythmic impetus more closely related to the original dance function that is missing from many modern concert-style performances. This unknown reel performed by Andrew Poleson from the Shetland Isle of Whalsay demonstrates this point well. More so, the two authors have also argued that non-literate modes of transmission retain more of an historical style of performance, but I have my reservations about this. Ultimately, there is no quick-fix solution to the terminology we use in referring to Scottish fiddle music. While there are those of us dedicated to elevating the genre, notions of fiddlers and fiddling are perhaps too deeply ingrained in our culture to ever be transcended. However, there is hope: we’ve thankfully come a long way since the seventeenth and eighteenth centuries when the ‘Scotch fiddle’ was synonymous with scabies!